Make a real statement with this Tresor Paris Metric ring. 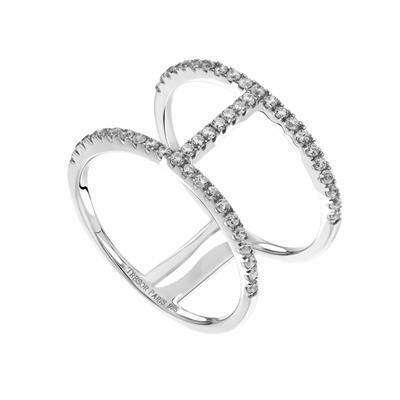 This beautiful design features two bands of sparkling crystals sets in Sterling Silver with a T Bar design to the centre. This fabulous fashion forward ring is made from Sterling Silver the perfect addition to a glamorous evening look or a great stacking ring.